One of the major themes for 2018 is the transit of the planet Saturn through its own sign, Capricorn. This transit has not happened for 29 years so, if you are old enough, look back at what was happening in your life 29 years ago to understand the flavor of this year. This transit continues until the end of March, 2020 and is a time for humanity to mature. Saturn is comfortable in Capricorn, fortunately, but it is definitely a time of greater responsibility, duty as well as more focus on the more important, less frivolous aspects of life. Pluto is also moving very slowly but very surely through this serious sign of the zodiac grinding up and slowly changing institutions such as governments...this slow but sure change will eventually bring transformation in the years to come. At this time of global change, if we look at the world honestly, and see all the craziness on so many levels, I think we would agree that it is definitely time for humanity to grow up. We shall be forced to do so over the next few years whether we like it or not. At the same time as this sobering influence, Jupiter transits Scorpio for most of the year until November 8 when it enters Sagittarius. This will bring more opportunity for those born under the sign of Scorpio and the advice here is – when opportunity knocks, open the door. These planetary themes affect us all. For example, with Jupiter in Scorpio we will all feel the urge to understand and express our deeper feelings and to grow emotionally. It is a time to heal – ourselves and others. Scorpios are the natural healers of the zodiac and have an intense emotional energy that they can channel into spiritual work. This is a great year for self-improvement as well more emphasis on true spirituality, i.e. service to others, healing, prayer, etc. With these two planetary themes there is no longer room, fortunately, for the trite, superficial pursuits or the excessive glamor that is pursued by so many today. We shall no longer be so interested in shallow or temporary measures. We shall see, slowly but surely, a shift away from more meaningless things towards more serious and fulfilling paths. This may come to us through some type of crisis, but if we continue to keep our eye on a higher path, from these crises can come increased understanding and greater wisdom. Also, previously taboo subjects will no longer be taboo. There will be increased fascination with topics like life after death and life on other planets and we shall probably see more television programs with these themes. Jupiter in Scorpio also has some powerful aspects during the year with the planets Neptune, Pluto, Chiron and the true North Node. This represents a time for us to broaden our minds and have more faith in ourselves and in life. It is a good time to face our faults, as well as our strengths, honestly so that we can overcome the things that have been holding us back. Another big theme for the year is the planet of revolution and revelation – the planet for this Aquarian Age and the ruler of astrology – Uranus. This electrifying, shocking planet is finally moving from the sign of Aries to Taurus in mid-May. Then on November 6 it returns to Aries for a few months until March 6, 2019 to complete its journey. After that it returns to Taurus for over seven years. The planet Uranus loves to shake things up and, having had Uranus transiting my Sun in Aries for some years, I can certainly attest to that. If you can survive the constant feeling of uncertainty and that Uranus brings, it will eventually bring an increased sense of freedom. Uranus has the ability to break down and break through barriers that hold you back. When Uranus enters Taurus, it will shake up our attitude towards money and possessions, as well as our sense of security. This can be particularly difficult for those of us who feel secure through having money and possessions. It is definitely not all bad – none of the planetary influences are bad. Uranus also brings innovation and we shall see new innovations in our monetary and banking systems. 2018 is also a year of eclipses and retrogrades. Eclipses bring changes and drama. In 2018, eclipses are more than usual, and most fall along the Leo-Aquarius axis. They thrust us into a state of heightened awareness of flaws in our friendships, attitudes towards others, and group activities - to strike a better balance between romance and friendship, and between expressing ourselves in personal and impersonal ways. 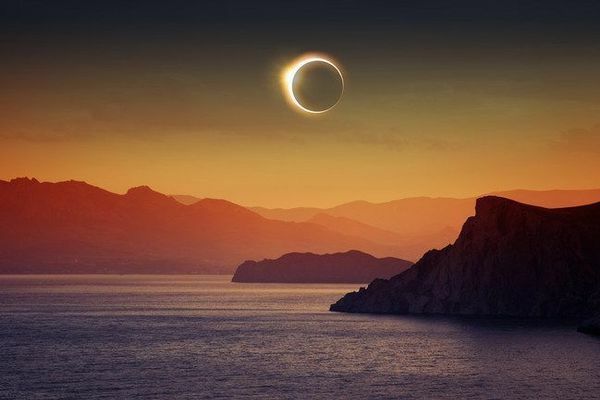 However, the first eclipse along the Cancer-Capricorn axis occurs in July, and paves the way for new themes. This eclipse calls upon to feed our foundation - all of that which we call "home" - including the foundation we have built inside of ourselves, needs to be tended to and honored. We will need to pay more attention to our instincts, our deepest needs, and our feelings; and to recognize the importance of our family and our personal circle of friends - and the security, sense of belonging, and safety we derive from them. Finally, 2018 is also a year of Retrogrades, with Venus and Mars both turning retrograde this year. These periods - Venus is retrograde from 5th October to 16th November. Venus goes retrograde about every 18 months for about 6 weeks. When this happens, old relationships can return to be completed. Investments can lose value. As with all retrograde periods, it is a time to reflect and review – in this case, the aspect of your life ruled by the planet Venus. Mars is retrograde from 26th June to 27th August. This is the time to slow down reflect rather than surge ahead. It’s not a great time to travel and direct action is difficult. There is a tendency to leave tasks incomplete. It is better to focus on repairing and renovating rather than beginning ne things. Please see the Mercury retrograde pages on this website for more information about how you are affected when this fast-moving planet makes its apparent backward movement.